The Beauty Chef's Probiotic Skin Refiner exfoliates, hydrates, and boosts collagen all at the same time. 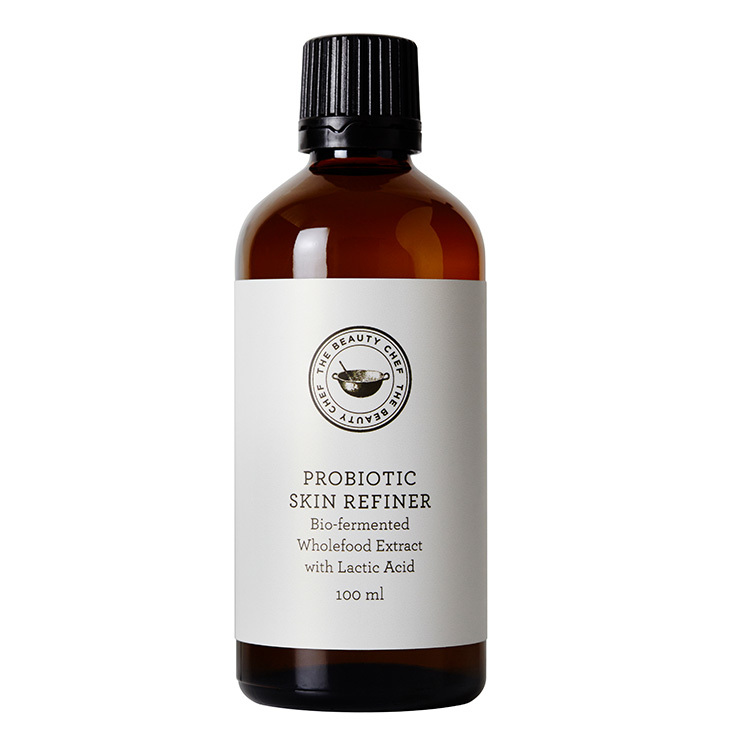 Probiotics and lactic acids help to refine and improve texture of skin by improving the process of cellular turnover, while helping to stimulate the production of collagen to plump, balance, and hydrate skin. Apply the skin probiotics after cleansing with a cotton or wool pad and pair with a moisturizer. Use daily in the morning and evening.